The nutritional information reports calories at 212, with 7.3g Fat, 5.1g Carb (0g fibre), and 19.6g Protein. If you track macros you'll notice that these don't add up. The calculated macro calories adds up to 165, not 212. Which is almost a 30% discrepancy. 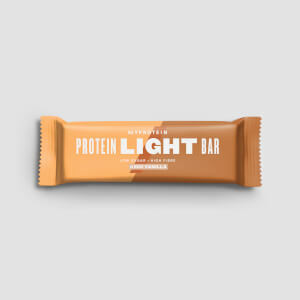 If you have a particularly low calorie diet, you may want to avoid these bars as you don't really know what you're getting This bar tastes good. Texture-wise, the bar becomes like body armour when it gets cold. They really need to be microwaved if even slightly cold. Otherwise the bar is great. 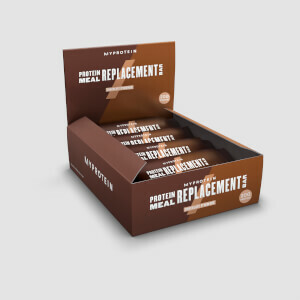 My fav protein bar but always out of stock!!!!! I love these protein bars so much amazing macros and ingredients are to the minimum of added extras unlike other protein bars. Look, I'm not going to pretend this is the tastiest bar on the market. Some protein bars are more like chocolate bars with a little protein. But these are so good on stats that I'm surprised they taste as good as they do. I've tried a few flavours now - cookies and cream, chocolate, vanilla almond, caramel peanut and apple and cinnamon. They're all good but a few notes... First of all they ALL are rock solid and could do with 10 seconds in the microwave. Apple and cinnamon or cookies and cream are okay without it and vanilla almond is just about doable but I can barely get through the chocolate one with my teeth alone! In terms of flavour, if you like bars really sweet, go for caramel peanut, it's more like a nougart but really tasty and plenty of nuts. Chocolate isn't much to write home about until you warm it up, but warmed it's like a brownie. Vanilla, cookies and apple are all good too, apple particularly if you like fruit flavours and aren't fussed about it resembling anything similar to a chocolate bar. For those who have never tried a my bar zero before, don't expect a usual protein bar. They're like "naked" potein bars with just the protein part and no chocolate covering. Having said that, the fillings are generous , particularly the apple and nuts although if you go for chocolate or cookies, there are gritty bits which I think are supposed to resemble chocolate chips but don't actually taste of anything, just add texture. Regardless, at about 200kcal per bar, next to no carbs and low fat, you'd struggle to beat them nutritionally, even if they don't taste the best. On this plus side, I've been tempted to over-eat protein bars before but I don't do that with these so even the lack of sugar has a silver lining! I read a lot of reviews for these bars to help choose a flavour to order. I genuinely love them! They are great for getting protein in for my macros, and i find them quite addictive! I've tried caramel peanut, chocolate (both my favourites) and recently had vanilla and apple cinnamon! Vanilla is slightly sweeter than the rest but still a satisfying fix! They are harder to chew when colder, but I personally love that because they last a long time and so it's not just finished in a few bites and you can eat it slowly. I don't have a problem with the texture at all, i actually really like how chewy they are! Quick protein snack on drive home from gym, post food sweet fix... everything really! Right having tried the MyBar Zero, Lemon Cheesecake flavour, here`s my review. The ingredients and macros are there for you to read so no need to harp on about them. What maybe important to you though is obviously the taste and texture. Firstly the texture, as in other reviews let me tell you they are hard...VERY hard !! I did manage to get through my first bar without losing or chipping my teeth but I think I was just lucky !! I read on here that some people had put them into the microwave first so still eager I threw mine in and waited. I didn`t have to wait long as in my eagerness I had left it in the wrapper....the metallic wrapper !!! So after the impromptu fire work display I sat picking the frazzled bits of paper off that had welded onto my bar and tried again. Success !!! after literally a couple of seconds the consistency changed to a very soft nougat texture which was a pleasure to eat, in fact just holding it between your hands to warm it works just as well !! The taste is actually very nice, not very strong or too sweet but a delicate taste that is very enjoyable. It`s quite a big chunk of a bar too so puts them hunger pangs away for a while whilst giving your protein intake a nice boost !! handy for on the go or to put you on if you miss a meal !! Works well on it`s own !! Cookies and cream: 207KCAL, Fat 7.5g (1.9g saturates), Carbs 2.6g, Sugars 2.2g, Protein 19.5g, salt 0.43g.Texture is hard/chewy, definitely like nougat bars. Overall it was decent, sweet, contained cookie pieces (very small but still) and white chocolate chocolate chip pieces like in the white chocolate chip cookies which was pleasant. I'm currently fighting a difficult Nutella addiction and these definitely helped (doesn't taste like nutella but I obviously have a sweet tooth). I'm buying this again. Chocolate: 192kcal,Fat 5.6g, saturates 3.1g, Carbs 2.8g, Sugars 2.1g, protein 19.6g, salt 0.39g. As above but chocolatey. Also reminds me of the Atkins bars. Haven't tried putting them in the microwave, I think the're ok without it. 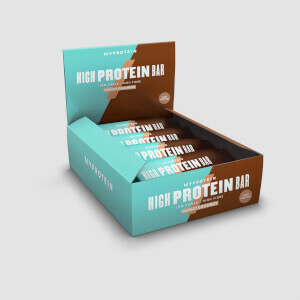 Best tasting protein bars - Vegetarian friendly too! From Zero to Hero! Still my favorite bar. I keep them in the fridge and that makes them chewy, long lasting and extremely satisfying - I love them! !